If relaxing or working outdoors where you live feels like killing time in a bug-infested torture chamber, the Mosquito Trap from Lentek may be your liberator. Powered by propane and electricity, the trap covers up to 3/4 of an acre at a time and runs for up to four weeks on a single tank of propane. Operating without toxic fumes, the trap uses a combination of carbon dioxide, moisture, color, airflow, and thermal imaging (simulated body temperature) to ensnare blood-sucking, egg-laying female insects. With use over time, the mosquito population in the area should markedly decline. We usually have an ant problem every summer. This summer, we were fighting a losing battle, with spraying inside and outside the house, ant traps, etc. Every day, coming home from work, we would find an ant trail somewhere in the kitchen or living room. 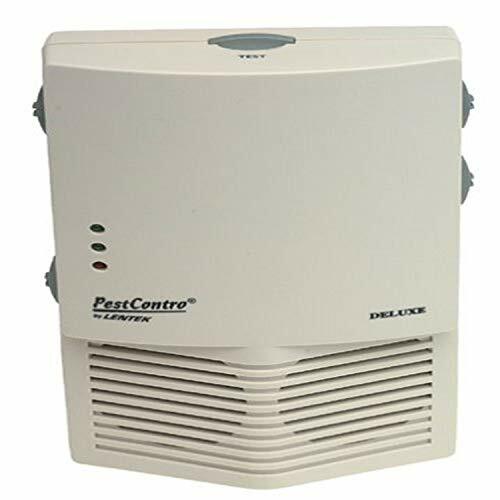 We bought these Lentek Pest Repellers as a last resort, and were pretty skeptical. However, just one day after plugging them in (we used all 3 units in the kitchen at first), the ants totally disappeared from inside the house. They are still plentiful outside the house, but have stayed off the inside for over 3 weeks now. We have now reduced it to just one unit per room, and the ants have not come back. Spiders are another issue though. We found daddy-long-legs hanging from the unit the first day we installed them. However, they may have been confused!??? After getting rid of those spiders, we have not seen anymore. We are not sure what the long-term effect on spiders is, but we are totally convinced they work on ants. I suggested my mother try these after years of problems with monster waterbugs in her suburban Philadelphia town house. With her living in an urban area blocks away from a river she has tried everything to rid her house of these disgusting creatures. Exterminators are only a temporary fix due to the fact that the waterbugs just leave and go to the adjoining house next door and then come back when the spray wears off. The roach traps get a few of them but didn't stop them from being in the bathroom and kitchen and scattering when she would turn the light on. The insect problems are bad this year due to our mild winter and when she saw them appearing in her bedroom something had to be done. 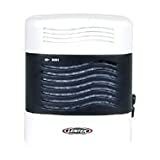 She installed these Lantek Pest Repellers a week ago and after encountering waterbugs in the spring/summer daily for years she has not seen one in her house since the day she plugged them in. Her home is very small (about 900 sq. feet) and she bought 2 (3 packs) so she was sure to have enough coverage. Although it does not seem to effect the tiny ants from coming in under the kitchen back door (where she has 2 plugged in) she would much rather have ants to deal with than the 2inch Philadelphia waterbugs. Although the neighbors probably aren't to happy right now because all of the critters probably ran to their house. The true test will be the next time we have a drought when the problem is usually the worst. That is when they come into the homes in mass numbers seeking water. But so far so good. I am going to order some myself to see if it helps with the Yellow Sac spiders and the huge numbers of bats that we have in our neighborhood that sometimes get into the homes. I do recommend these, they do work on certain insects but from what I have seen, not ants. The repellers are much smaller than what they appear to be in the photo (about 2x3 inches) which is a plus because we have a 1920 home with baseboard sockets and don't have to worry about them being too large to fit into the receptacle. I read all the reviews wanting to believe that these would help me and crossed my fingers for the half that said yes, they worked. Tonight, I just caught another mouse in my room (where I've got two of these things plugged in). Earlier, I'd purchased one to cover a larger area and although it deters them, I actually think it caused them to run into my room from the kitchen to get away from the noise, as I'd never had them in my room before (In two weeks since buying these, I still saw 2 or 3 mice). Anyway, my advice is not to waste your money on these. I'm going to start charging the mice rent. this seemed to work initially, but after about a month (and, not so coincidentally, when it started to get cold outside) i was finding mouse droppings less than a foot away from the device! i spoke with a veterinarian that specializes in digusting rodents (rats, mice, guinea pigs, gerbils) and she said that it's just like living next to the train tracks - it emits an annoying sound, but eventually the little suckers get used to it. This is the first time I've ever felt compelled to write a review for a product. The reason for my review of this product is because, quite simply, it works for me, and it would seem that, based on most of the other reviews here, it needs a vote of confidence. During the Spring and Summer months I used to have a problem with raccoons climbing up onto my wood deck and then defecating in the corners. There would be a new pile at least two or three times a week. Quite a smelly mess to have to clean up all the time, not to mention the stains left in the wood. After getting the Lentek YC12G all I did was mount it on the deck near the stairs and turn it on. It's been nearly 3 months and not one sign of raccoon activity on my deck. I even adjusted the alarm volume to a barely audible level and still no raccoons. I bought the Lentek YC12G, despite the negative reviews I read here. I knew it would be a gamble but I was desperate to find a solution. I'm just glad I gave it a try because the gamble paid off. Great Alarm System - Poor pest repellent. We purchased this to keep dogs away. It did not do it. I did use it too chase away a rabbit building a nest in our ornamental grass, it worked very well. But, we use it as an alarm. It works fantasticly. We use it indoors to let us know if someone is in the house while we are sleeping. It is much cheaper than any human alarm system I could buy and lets me sleep much better at night knowing I would get advance notice before anyone gets to where we sleep. Also, we have a toddler, who may want to wander, it also informs us when he is trying to go wandering before he gets very far. Anytime you want to know if something or someone is coming, it is ideal. I would not rate it highly for its stated purpose though. It makes audible sound even on the animal settings. But, it does make a darn good alarm! we had a barking dog problem. The neighbor tried all sorts of creative and useless ways to stop it, one of which was this. It kept the dog quite for maybe 20 to 30 seconds then he quickly figured out it was just more background noise and completely ignored it. Perhaps we should have just used it as a club? After few hours the strobe light quit working. We sent Yard Contro back to Lentex Dec 2002. We have tried at least 20 times to find out what is going on we have been told we sent you a new unit 3 times and never received it. We were told we will send your money back twice. We have been told they are out of stock. Now their phone service is not working. Save your money and alot of frustration and buy something else. 7/22/03 still have not received a new unit or our money back. We are still calling as of this date. We call aleast once a week. Their phone service is out of order. Pure Junk, buy the Weitech instead. 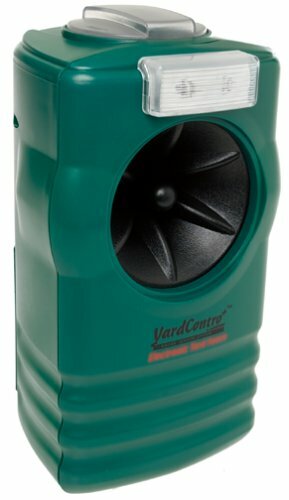 I have been sucessfully using the Weitech Yard protector continuously for two years. But I keep the frequency set for cats only. Any other frequency may irritate the neighborhood dogs. My experience with this repeller is negative: the mice are actually ATTRACTED instead of being repelled. It's been plugged for a month, and here's the result; we've never had that much mice before. I'm disappointed, to say the least. Placed in garage. Found mice attempting to set up a nest some 15 feet away from this device. Ever since plugging in this product, I have had no mice visitors. Completely satisfied with results! I just recently moved into a newly built home which is located on the site of an old farm. Because of the wooded location, I initially had problems with mice and rats infiltrating my garage. Since I collect classic and modern sports cars, and these animals can do tremendous damage to the interiors of these cars, I needed some way to get rid of them. Regardless, I didn't want to kill the animals (I'm big-hearted and couldn't kill anything), but I did want them GONE! 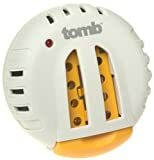 I bought two of these Pest Repellers for a large garage, and since plugging them in, I have not seen one instance of any critters in there. Highly recommended! Despite the manufactures claims this unit makes noise. 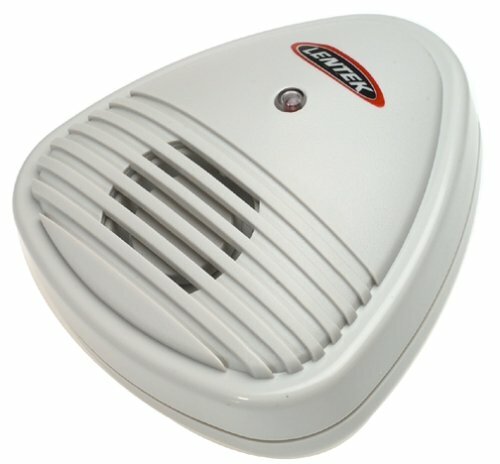 It has two frequency levels, super high for flying insects and lower for mice. I had it running for a few days in my kitchen on the lower setting. My house is having foundation repair right now so is somewhat open to the elements around the basement. I wanted to keep mice setting up home this fall. One day I had a friend over for diner. Within a few hours of being over, she came down with a headache. Just a mild one, but enough to make her comment about it. Later as she came into the kitchen to see what I was doing, she asked me what that high pitched sound was. I figured she had seen the box for the PestContro machine and was pulling my leg - but she hadn't. I went over to the box and set it to its highest frequency and she could no longer hear it, but whenever I put it into the lower setting, she would wince with pain. I noticed that I could hear a faint static noise coming from the machine when it was set to the lower frequency too, but nothing like what my friend could hear. I unplugged the device. Within an hour her headache had gone away. I'm returning my PestContro machine. Have bought 6 of them for rodent control in 5 locations. In one house, noise from rats or squirrels had kept both adults awake the night before - they have not heard a sound since. I have two PestContros in my house where we have rats and many squirrels. We have not heard any since PestContros installed and don't remember even seeing squirrels on the roof outside or in their favorite little tree by the house. Our total evaluation time since the first PestContro is just over a month and the last three have not arrived yet so the above comments are early and only represent two houses. However, we expect good rodent results in the other three where rats and squirrels are known to be living. We like the night light feature too. Had to return one PestContro when it developed a 60HZ hum but got a quick replacement. Can't comment on bug control fairly - we have not seen any but we have a bug contract and usually don't see many. Since I have installed, I've never seen any kind of pest in my house (except me). It worked since the first minute. I'm very happy, my family also. I am living in a fairly small apartment (less than a thousand square feet) and the device works nicely. I set it at high frequency in the first place. But I could still see a few roaches crawling around after one week. Then I tried the low frequency setting, and then in a few days the number of roaches was greatly reduced. In around two-week time all the roaches vanished. Now my place is free of the annoying roaches. I am very pleased. 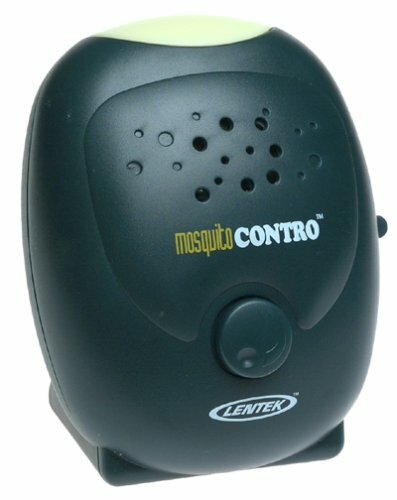 Knowing that impregnated mosquitos are the only ones to bite, Lentek has developed the sounds of their enemies the dragonfly & the male mosquito to keep them away. When we went camping, there were others in our party that didn't have a control so before going to sleep, I hung it on a hook so that it would protect everyone in our party. It did. I am presently on line trying to find a vendor so that I can buy more of them for us and relatives. 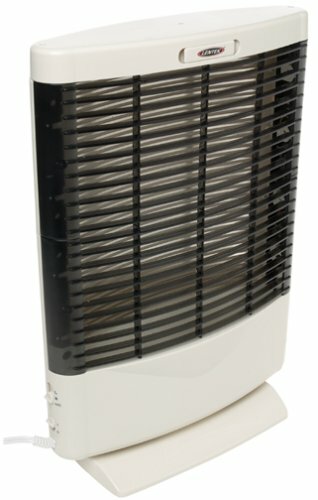 We live near a river, so our mosquito population is pretty dense, and I was excited about the possibility of getting such a neat device that would keep the critters away from me as I move about the yard. Unfortunately it just doesn't work. 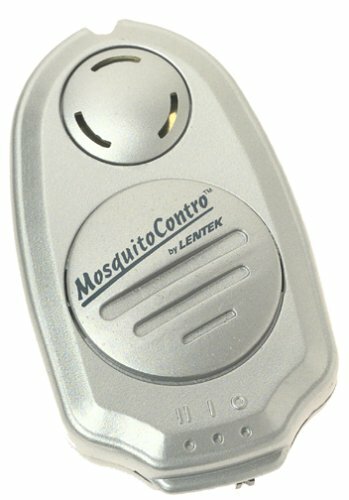 When I sat at my patio, looked at my wrist, the once with the Lentek MC05C strapped on, and saw mosquitos blatntly having lunch, I knew they had outwitted me again. I don't know about the other Lentek devices, but this one is a dud. I put battery in, turned it on to the 2nd position (dragonfly sound) and walked toward an area in my backyard where mosquitoes are abundant. They swarmed me, some flying right next to the unit. I tried the 1st, silent position with no change. I cannot believe that the company can even make the claim that this repels mosquitoes. My only guess is that in the absence of a person, it may work, but with the temptation of a bloodmeal, they seem to ignore this thing. Covers up to 2500 sq. ft.
Insects are lured to trap by specially designed ultra-violet lights. A continuous low voltage shock disables the insect. Excellent for killing mosquitoes in the house, but. . .
i had a very good experience with this product. bought one then bought six more and have had them up a few years now. they successfully stopped the challenge we were having of song birds flying into the picture windows. 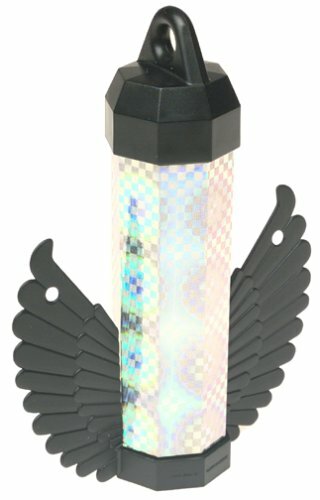 we tried the strips, the sonic thing (didn't work and i was scared of what else it might be doing) the hologrphic butterflys on suction cups (worked, looked goofy - blocked view and blew off in 1/2 a season) also tried the black silouettes of the rapters (they were creeepy looking i thought). this bye-bye birdie worked for us and i was just on here going to get the info for some neighbors and read these bad reviews and had to let people know that if you are trying to stop birds from flying into your picture windows and killing themselves this product worked well for us. I think this device is actually meant to attract birds. I could be rich but I am too ethical! I would have loved to been in on the product planning session for this piece of junk. I am continually amazed at what people will do to make money for themselves. And I am continually amazed at the people that give it to them for useless products such as this. People that buy this type of item should get a clue. Or go back to school and finish that science class they kept cutting. i bought one then bought 6 more and have recommended them to homeowners who have large picture windows. we had a challenge with the song birds flying into the windows and tried the sonic thing, the hawk sillouttes (work but look creepy) and the hologrphic butterflys on suction cups (those worked but were goofy looking and blew off in high winds). this product was a challenge to get up there but has worked really well now for 3 years and i got enought to put outside of all of the windows and we haven't had any more birds flying into windows. the other reviewer wanted a deterant to have birds i recommend those snappy things or trying the holographic tape. this product i think is just supposed to stop birds from flying into the windows and it does a really good job. I bought TWO (02) Bye Bye Birdie Wings and placed them on a relatively short balcony (10 meters long). After 3 weeks, the pidgeons were back. I tried moving the devices around, putting them in different locations, put the birds kept coming. I sometimes see the birds standing on the balcony railing, right on top of the 'Wings' !! I've had this bug killer for two months, and it broke. The lights inside the trap no longer work ... after two months. The amazing fact is that it was only used intermittently during those two months. Tried to return it to Amazon, but they would not accept it for a refund/exchange ... terrible limited-time period return policy. I would NOT recommend that you buy this product or any Lentek product for that matter. This product does NOT repel mosquitoes at all three settings. It's a waste of money. The best way to kill mosquitoes is by using chemicals. Be sure to use lots of Backwoods Off with this product. If the frequencies on this product do indeed work it must attract mosquitoes because it does not repel them. As the previous writer said, A complete waste of money. Thank you for your web-page,I am not 13 years,I am 43 years old and I am in Netlon service line since1996.I am Indian and my place in Andhara Pradesh and my city is hi-tech city Hyderabad. Here,for mosquitoes, our market occupied with All-out and its price with 40days liquid is Rupees 63 only in Dollars its cost only $ 1.02. Kindly write me a clear demonstration text for my understanding. And I am a salesman interest to sell high quality product in medium economy country/society.I prefer to suggest to customer the best quality available to fill his problem/need.Though,I install for their windows ,they use coils and liquids to solve mosquito problem in their rooms. 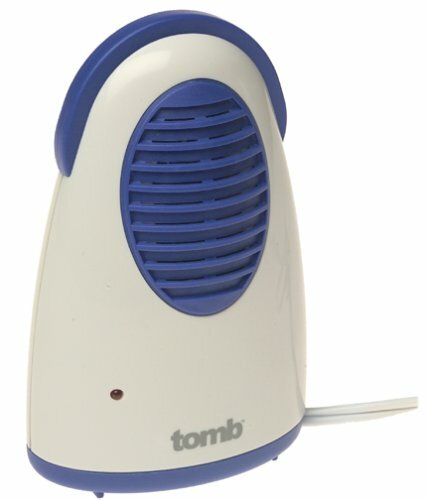 This device is very good, I didn't had roaches, spiders in my apartment since 1997. 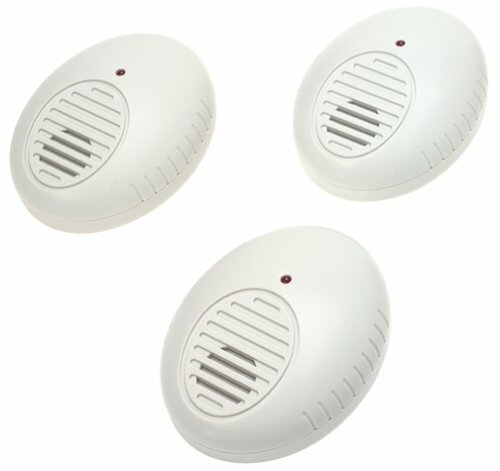 However, after the black out on 2003 in new york city, my 2 pest contro devices stopped working appropiately. Therefore I am forced to buy 2 new pest contro's. After reading previous comments about the products, I guess it depends where you live. I happen to live in a 30 floor building and it works fine for me, the only problem I had was after the blackout and the devices started making a twitching sound. Probably due to the power failure, the pest contros were no longer in use. From that point my kitchen has small roaches and about 3 adult roaches by my kitchen table. I bought a newer version called "pest patrol" after the black out and that one didn't do a thing. 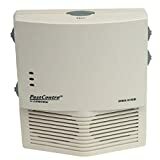 I`ll take a shot with the original pest contro, and I rather use this product than the newer ones that seem to have dissapointed a lot of consumers here at amazon. 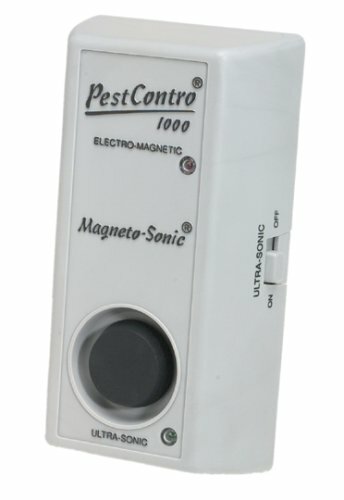 After purchasing this to help battle a cockroach infestation, I learned that insects do not "hear" the ultrasonic frequency emitted by this device. Nevertheless, I plugged in two in my kitchen and my roach problem was not helped. I understand that it may help with rodents, however. This little device is a complete hoax for insect problems. I bought this product from a TV infomercial five years ago during the summer. 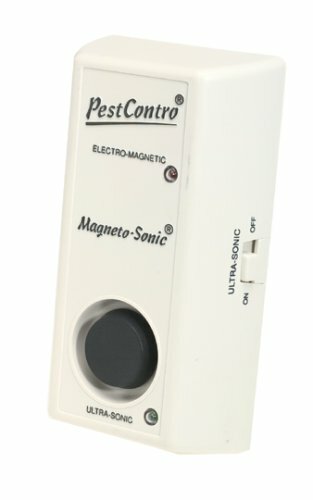 Because we did have a recurring problem with various pests and we didn't want to deal with the expense of a monthly pest control company fee, I decided to take a chance on what was considered pretty radical technology then-using ultrasonic and magnetic sound to drive away pests in your home. Plus I liked the idea of not using toxic fumes. I got the product, actually read the instructions, and plugged it in using an extension cord (doesn't slow down it's effectiveness) so I could position it correctly under our dining table with an unobstructed view. The rest of that year, I saw some improvement, but not a lot-it slowed down the march of spiders coming in from the fall rains, and kept most of the mice from coming in to watch TV in the winter (we live near a wooded area, so pests are unavoidable), but there was nothing to get really excited about. The next spring brought some surprises though...the mean green flying machine did not take over our home as usual. By that I mean the flies, bees, mosquitos, gnats, etc. They would come in, and after awhile, you could actually see them frantically trying to get back out...if they didn't, you'd find them RIP'd on your windowsill the next time you dusted. The next thing we noticed that our dog stopped having problems with fleas-to the point that we were able to stop buying extra flea control for him. He's not stupid either-whenever our poodle has had a visit with another unprotected dog, he would come in and lie down right in the line of sight of PestContro :) That summer marked a real slowdown in spider population, and we only got one rodent visitor that winter. Since then, except for an occasional dusting of its casing, I haven't touched or moved our PestContro from under the dining table. Also, our lives have been pretty much pestfree. No, we are not totally 'free' of pests, but I didn't expect PestContro to do that-I just wanted to slow down the 'colony' and to keep them from taking up residence-In my opinion, PestContro delivered on that promise. I ordered two for the price of one, I received one and one month later I was told that the second item was no long available. Now I no longer have the package or the bill to send the first back. 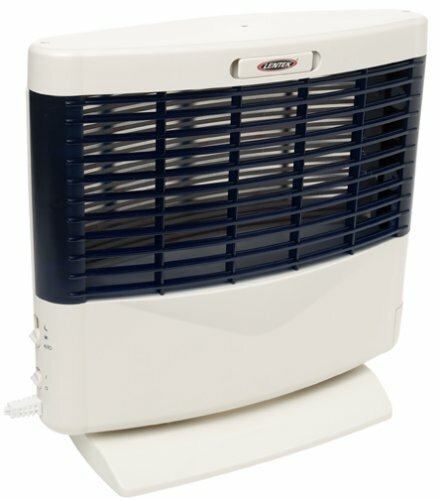 We have one of these high end units on each floor of our house, plus many of the Lentek lower models. None of them work... at all. Sitting in my comfy chair reading a book, I thought I saw something move. "Maybe I should get my eyes checked," I thought to myself. Later I saw something scurry past the doorway again going the other way. Eeeeeek! (I didn't actually say it.) I had a mouse. After a few nights of unsuccessfully chasing the little guy with a broom and a shoebox, I saw an ad for this gizmo in a mailer. "What the hey, you never know." I bought one. I felt like Wiley Coyote ordering a trap from ACME. I used it in the living room, then tried it in the kitchen. It has two features: 1.) an electromagnetic pulse and 2.) an ultrasonic noise. The electromagnetic pulse uses the wiring in your house to broadcast a signal throughout your whole house. This is supposed to mess with the mouse. The ultrasonic feature will only work in one room and works best if you don't hide it behind furniture. The mouse can hear high-pitched noise blaring; you can't. I use both features. I think the ultrasonic part is more important, but that is just my guess. After a few weeks, there were no more cracker crumbs in the cabinets and no more little mouse presents. Has to be over a year now and I have had no more problems with mice. I have both this as well as a Weitech model. The gophers don't even seem to notice the noise, regardless of frequency setting. They are continuing to eat plants less than 1 foot away from the noisemakers. Regarding the other buyer's review of the construction issue, the tip on both units I ordered incurred the same problem, thus the watertight "seal" becomes faulty and water enters the unit. One of the units corroded from the water and stopped working within 2 weeks of installation. I now have gopher activity within 100sf of the working unit (installed 5 weeks), and in solid clay soil, which is supposedly the best soil for operation. So far, not so good. I was skeptical of this until I tried it. We had a regular mole interstate in our front yard. I planted this in the center of the yard and the moles have gone elsewhere. I've order two more to increase the coverage... but it does work wonders!! There seemed to be less evidence of gophers in the beginning, but they are back as usual. I've been using it for three months. I have tried everything to get rid of moles: castor oil-based repellents, grubicides, balls of fishing line, smoke bombs, car exhaust and these sonic repellents. The fact is: the only effective way to control moles is to trap (ie. English scissors) or spear them. These MoleContro's do seem to annoy the critters into moving elsewhere, but the effect is only temporary (lasting about two weeks). Even this effect is difficult to determine because moles change their digging patterns over time and you can't tell if the repellents worked or if they had just gone somewhere else on their own. In any case, after two weeks, they burrow up to and around the repellents with impunity.